Thank Spoon! The Tick Is Coming Back To TV! … Well Internet TV Anyway! There is no shortage of comic book based TV programs these days, but according to Deadline.com it looks like the folks over at Amazon have decided that we could use at least one more! They are bringing back The Tick! For those of you that don’t know The Tick is a superhero parody, and if Deadpool has taught us anything, with all of the ‘serious’ superheroes around, adding a little levity to the mix should be a welcome change. As you can see from the photo above this isn’t The Tick’s first transition to live action television. 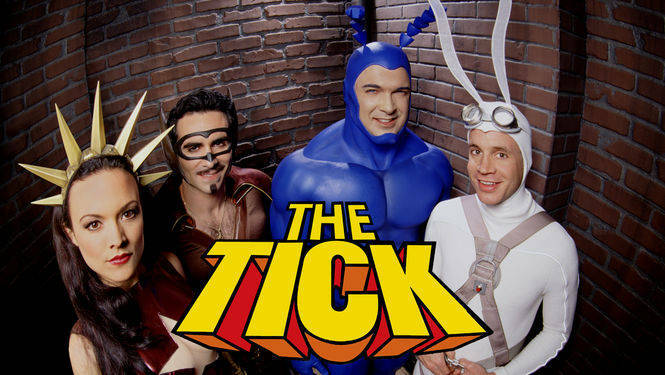 2001’s The Tick was very funny even if no one watched it, but with more people tuning in to the adventures of caped crusaders every week Amazon’s reboot should do much better provided it is as funny as the original, or the comic, or heck the 90’s cartoon even. Actually especially the 90’s cartoon show. Never-mind, what I am saying is The Tick has been consistently very funny. I can’t wait to have one more binge-watchable show on Amazon! Spoooooooooooooooooooooooooon! Previous PostPrevious Downton Abbey Is Over! Where Will I Go For My 1920’s Fashion Fix! Next PostNext Does Hitman Kill It In Paris?